It is important to socialise your puppy with other dogs and well organised and professionally run classes here at Church House Veterinary clinic are and great way to build your puppy’s confidence and expose them gently to different sights, sounds and other dogs. 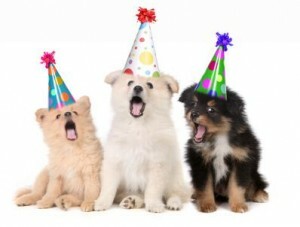 Puppy parties are priced at £10.00 for three one hour sessions; alternatively you can opt to pay as you go for £4.00. Held every third Saturday with one of our Nurses. Each puppy will receive a Certificate on completion of their course as well as being entitled to a discounted microchip when your puppy has attended all three classes. How to introduce you puppy to other dogs, humans and small children.